"I wanted to do something to remember everyone; those who are not here, those who most definitely are and those who are going through treatment and have yet to find out." 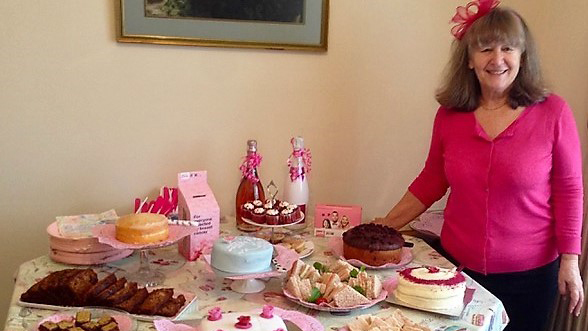 Sue shares with us an honest and emotive rendition of why she wears it pink. There is always a moment in your life when something or someone changes you and your perspective. It happened to me when my friend who had breast cancer passed away. For all her friends and family this was and always will be an enormous loss, but it was her strength and massive desire to live that was so poignant. My beautiful late grandmother, who was always a true inspiration to me, also had breast cancer. Then there were my friends who got breast cancer many years ago and today celebrate every day with delight and continue facing a positive and meaningful future. They are the survivors, but sadly not everyone can be so lucky. I wanted to do something to remember everyone; those who are not here, those who most definitely are and those who are going through treatment and have yet to find out. Breast Cancer Now connects with all of us, they bring hope and most of all make inroads through their work. To put money toward their much needed research and help to make a difference made me feel so happy and positive for the future where people won’t be afraid of this disease. My little brunch was made possible by the people who said yes. My local grocery stores all joined in with a cake, savoury snack or bottle of pink fizz donation. Sam, a young manager of a local store heard about my passionate plea and out of his own pocket gave me his beer money for the weekend. Friends said they would make sandwiches, biscuits or cake and provide extra tea cups if needed. I sent emails out to as many as could fit in my small home and I wish I could’ve invited more, but realistically it would have been a squash and a logistical nightmare. I asked them only for a £5 donation on the day and the carrot was that not only would they get tea, coffee, cake, sandwiches and hot goodies, they would be served by my lovely hubby who would be wearing pink. Most could not resist and appeared if only for a short while. The day was terrific with laughter and groups of friends coming and going from 11am till 2 in the afternoon. I had a couple of bottles of pink fizz to raffle and a couple of cakes too. My friend who is over 80 gave a warm speech about her being in remission from breast cancer for over 20 years and she looked amazing. When everyone had left, my husband and wonderful neighbour sat down with a drink and counted the donations. After £500 I was holding my breath but after £700 I was crying, these lovely, generous people on the day had made it all worthwhile. Holding an event depends on how many are involved in running it and the location. For me the advice, if you are doing it at home, is to give yourself plenty of time and write down a plan. Don’t make it too complicated and make sure not to ask for too much, either with a donation or of friends. Although people are busy, they will usually want to do something to help, so if you give them an option then they will not feel guilty or obligated. Think outside the box – some people are not confident bakers so perhaps they will be delighted to provide the cups and saucers instead. Send emails well in advance and set your table, arrange the room, get the crockery at least a few days before. Be relaxed and don't stress. With friends to help and pre-planning you too will enjoy the day. Most of all remember, the wear it pink team are amazing and will help you too! They are very special people and deserve a massive thank you. I found that they are always at the other end of the phone or an email when I had any questions, so if you have anything you need then don’t be shy to get in touch. I have seen and felt the despair of loss, sadness, anger and at times even fear, but turning the negativity into something positive and knowing it all does make a difference helps to find a way into a stronger outlook on life generally. 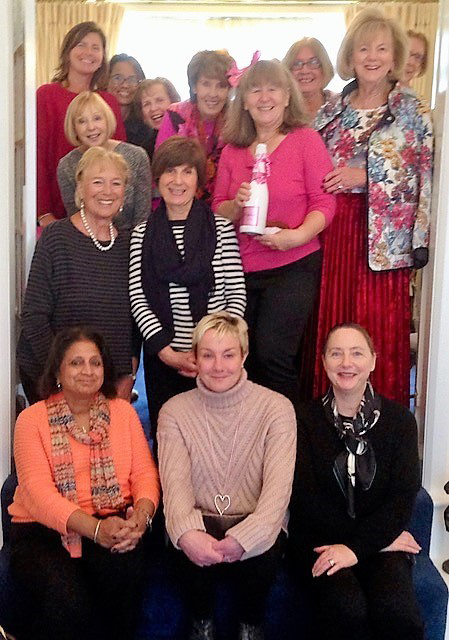 If you’ve been touched by Sue’s words and would like to chat to a member of the team, please do get in touch with us by email on wearitpink@breastcancernow.org or call us on 0333 20 70 300. We would love to hear from you.